Learn how to crochet some of the most beautiful Christmas jingle bells using the step by step tutorials in different languages. Christmas is almost here. In just about six weeks it will already be a big day, so we need to take advantage of an opportunity and learn to make as many Christmas related projects as it’s possible. That’s why today, we’ve decided to teach you how to crochet these lovely jingle bells probably in the best possible ways. Here we have chosen and brought you some of the most helpful and easy to follow crochet tutorials in two different languages. Hope you’ll love and enjoy making these beautiful Christmas jingle bells as much as we did. Good luck and happy crocheting. 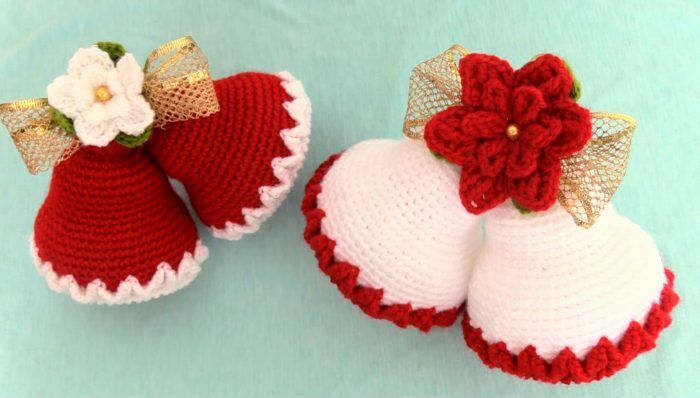 These are free and easy to follow crochet tutorials in Spanish and English languages that minutely explain each and every step of creating these adorable Christmas jingle bells. Just follow the step by step guidelines and make these bells for your friends and family members. Good luck and happy holidays. Me encantaria que las ecplicaciones sean en castellano.